Many of you may know, as being so excited I mentioned it a few times, I had the joy of judging Fiction Uncovered earlier this year. Over the last seven weeks, each Wednesday, I have been sharing my thoughts with you on the winners one by one. For the final week I want to tell you all about a short story collection which completely stole my heart and which I think might just be my favourite short story collection of all time, with the possible exception of The Adventures of Sherlock Holmes and you all know how much I love him. 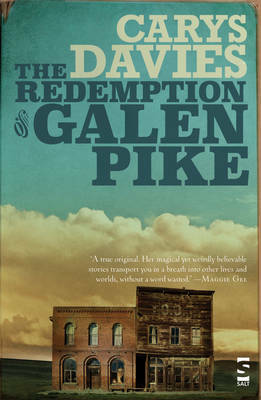 Carys Davies second collection The Redemption of Galen Pike is like the finest selection of miniature fictional gems that you will want to return to again and again. It is one of those books where I want to say ‘don’t bother reading my thoughts, just go and buy it’ however it would be lovely if you stayed and found out more, or came back after you’ve whizzed to the bookshop. One of the things that I loved so much about The Redemption of Galen Pike is one of the things that makes it incredibly difficult to write about – the scope of these stories in both time and place are epic. 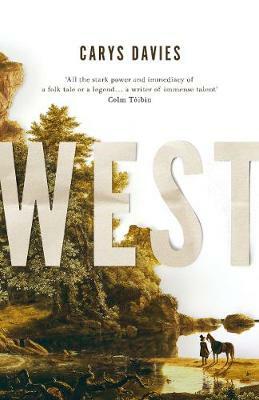 In this collection we have; a young wife on a remote Australian settlement with an untellable secret who reluctantly invites her neighbour into her home, a Quaker spinster offering companionship to a condemned man in a Colorado jail, an office employee from Birmingham witnesses a scene that will change her life in the ice and snows of Siberia, a middle-aged alderman opens his heart to Queen Victoria during a jubilee celebration in a northern English town, a tribe in the Amazon who must follow a horrific ritual. I could go on as seriously all seventeen of these stories have absolutely nothing in common with each other. Actually that is slightly untrue. They do have a few things in common but more in their sense of style and prose than in any themes or ideas. Firstly they are all stunningly written. 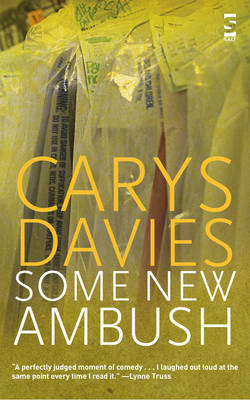 Carys has a prose style which is precise and economic and yet lush and brimming all at once. In a single paragraph, and sometimes in just a single line, she can set up a situation, landscape or character which comes into your mind fully formed. This means that even when a story is a few pages, or in one particular case (Nothing Like My Nightmare) a paragraph, you are fully immersed in its world. The longer tales also manage to have an epic quality which I have never felt reading a short story before, the title tale and The Travellers being prime examples of that. Henry Fowler’s narrow pigeon chest was lumpy and shrivelled like the map of some strange unknown country. It had a kind of raised border all around it that was ropy and pink; inside it the skin had a cooked, roasted look to it. – it was blackened and leathery and hard, like a mummy’s, or a creature that has lain for a thousand years in a forgotten bog. What is also particularly wonderful with the whole collection is that every single story has a twist/surprise that you won’t see coming. Yes, even if like me you try and be clever once you realise this is the case you still won’t guess it. I literally gasped when I was reading The Quiet, which opens the collection, at a certain moment and then continued to as I went on. There is something really joyful and playful (without the reader ever feeling played, which is a trick to conjure in itself) in Carys writing where you know she is having a wonderful time writing these stories and therefore it becomes a contagious feeling as you read. This links in with a wonderful sense of wit that makes itself known just at the right time. Some of these tales can be rather dark (which I love) yet they all have their own sense of humour, which makes them all the more engaging and effective, throughout. These two combine wonderfully in Jubilee and The Travellers. That said there are many truly poignant moments. Davies deals with subjects like domestic abuse, prejudice, sexuality, good and bad and much more throughout. Often there can be a moral in some of the tales, Precious particularly springs to mind, yet never does Carys bash you over the head or seem to say ‘you should think this’, she simply writes the story and leaves it to the reader whether they want to see the slightly hidden points that may be lying just under the surface. One of the many other things that I loved was the equally underlying sense of fairytale, legend and myth in each tale. Interestingly there is very rarely any magic of the spells and curses variety, though sometimes it crops up, more often than not it is simply that there is a sensibility of these things sometimes blatant sometimes more hidden as titles like Myth, Wicked Fairy and In the Cabin in the Woods show you. Sometimes however there is just the slightest delightful nod to these things, like the mention of mummy’s, creatures, fairies and unicorns that pop a folklore or legendary image into your mind whilst keeping the tale completely set in reality be it the present or the past. It is marvellous. One fat hand had flown to the Queen’s throat; her pouchy eyes were wide with wonder, as if Arthur had just pulled back a heavy curtain and revealed a unicorn, or a talking mirror, or proof of some other astonishing legend. ‘Good heavens, Mr Pritt,’ she whispered. It is really hard to say anything else about The Redemption of Galen Pike other than ‘I utterly adored it go and read it’. It is simply a stunning collection of stories. So go on, off you pop, get a copy. You will not regret it I promise you. If you would like to hear Carys talking in more detail about the collection and short stories in general you can hear her in conversation with little old me over on You Wrote The Book. If you have read this collection I would love to hear your thoughts, I would also like to know if any of you have read her debut collection Some New Ambush, which I need to get my hands on as soon as I can. Anyway, that is it for me and my Fiction Uncovered judging for 2015 and I have to say I feel quite sad it is all over. I have absolutely loved the experience from the reading to the discussions with my lovely fellow judges. Hopefully we have found some wonderful reads, like this one which I would not have discovered otherwise, for you to go and read and love as much as we all did.